As I write this, the clock is about to strike midnight. Here in Japan, Christmas day is all but over. But from my Facebook feed I can see that UK folk are just sitting down to roast dinner. In the States… I don’t know, I guess you’re watching the Super Bowl? Anyway, my point is that in Japan Christmas has come and gone. Here everyone is moving onwards to New Years now. And I’m moving on too. But not away from Christmas. No, I’m moving away from cynicism. I think I’ve alluded a few times in recent posts to the grip that cynicism has had on me recently. It’s always came fairly easy to me, but in the build up to Japan it kinda took over my thinking a bit. (And by ‘a bit’ I mean ‘a lot.’) I was cynical about people’s interest in what I was going to be doing in Japan, doubting whether folk cared about me. I allowed feelings of bitterness to come into my heart. Bitterness towards God and towards others. I guess most people couldn’t tell, but others bore the brunt of that bitterness. I was, to be truthful, kinda a jerk a lot of the time. It really challenged me, made me see how lame being cynical and critical was and made me want to indeed put an end to the cynicism in my life. The thing is that somehow I wasn’t ready. I wanted to change, but I couldn’t see exactly how. Just how do you lay cynicism aside? And anyway, this year has given me plenty of reasons to be cynical. The sudden death of my father and the unanswered prayers that came with that tops the list for sure. But also I’ve seen more clearly the brokenness of this world, and the depths of my own sinfulness––and how my tendency to selfishness and foolishness contributes to that brokenness. Cynicism seems more reasonable than hopefulness. Except it’s Christmas. And this Christmas I’ve been digging deep. I’ve had to, because the general festivities haven’t felt very fun. And so this year I’ve also seen more clearly the power of the good news of Christmas to break through my cynical heart––to change me . . . to change Japan. This advent I’ve been reading John Piper’s ‘The Dawning of Indestructible Joy.’ It ends with a Christmas sermon on that famous angelic announcement, “Glory to God in the highest, and on earth peace to people on whom His favor rests.” Piper’s point is that it is the wonder of God’s plan to restore us to a place of peace with Him leads us to be peace makers with others. So here it is now December 26th. 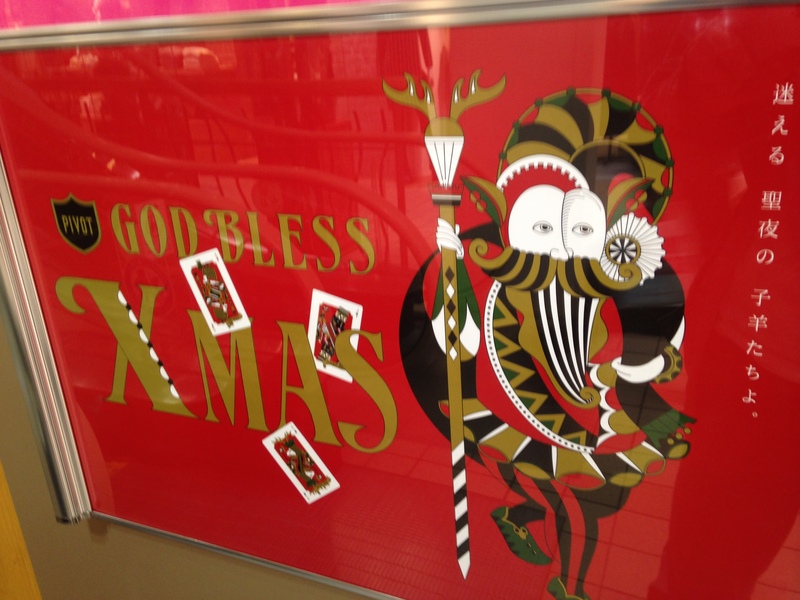 Japan is moving on from Christmas, and I’m moving on from cynicism. Because the coming of Jesus was the advent of indestructible joy. For me, this year, the birth of Christ was the death of cynicism. This entry was posted in Uncategorized and tagged birth of christ, birth of joy, Christmas, cynicism, death of cynicism, matters of the heart, meaning of christmas, missions in Japan on December 25, 2014 by levi.